For the third year in a row, we invited 100 individuals to create a wave of local good through our $10,000 Local Give campaign. Once again, we were inspired by the creativity they displayed through their unique acts of kindness and we wanted to share some of these stories of community impact. This is John's story. As a parent, one of the most unimaginable losses is that of a child. Those who experience this type of loss are forever changed. For the O’Flaherty family, this certainly has been the case with the loss of their son and brother, Ben. 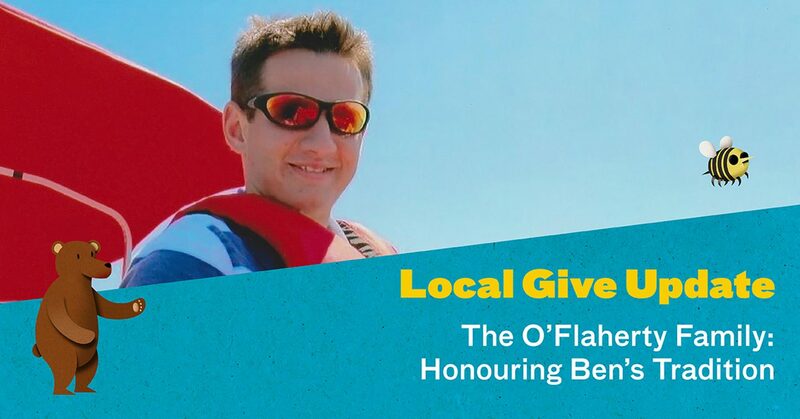 Here's how the O'Flaherty's used our "$10,000 Local Give" campaign to help keep Ben's memory alive.